Trinity Medical Clinic operates as a walk in clinic in Moncton, NB as well as an after hours medical clinic. 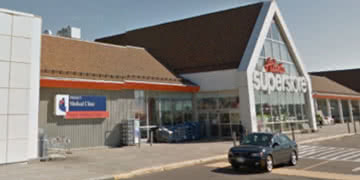 The clinic is located on the main level inside the Atlantic Superstore on Trinity Drive in Moncton, New Brunswick. There is an onsite pharmacy and plenty of parking available for your convenience. Call (506)854-0133 up to one hour before opening to book a same-day appointment.